Master Craftsman Studio has recently completed our largest installation to date. Six windows measuring 10′ x 22′ with a centerpiece rose sculpture 10′ in diameter, commissioned by Belmont University in Nashville, Tennessee. 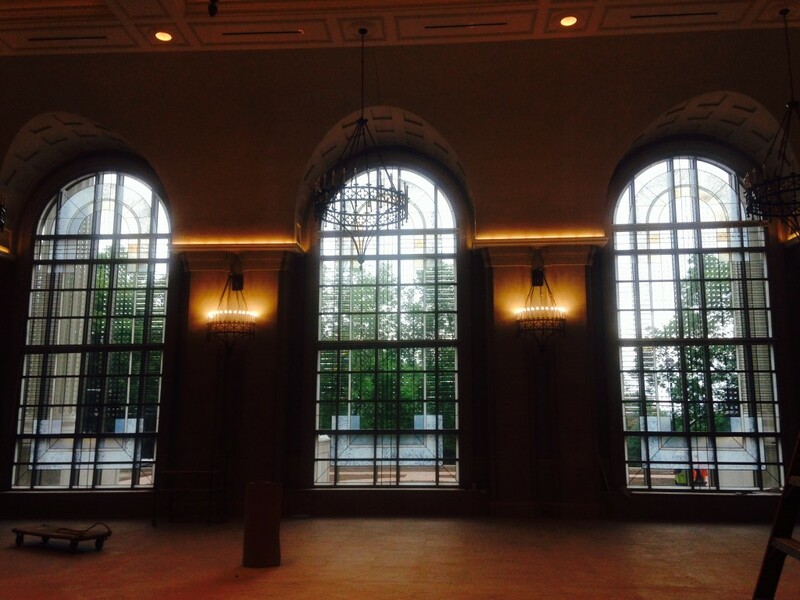 This installation combines traditional leaded glass techniques with the contemporary architectural glass that Kenneth von Roenn is known for. The six large windows are comprised of multiple smaller panels of clear, textured and opalescent glass. Line work was added by hand using traditional glass staining techniques. 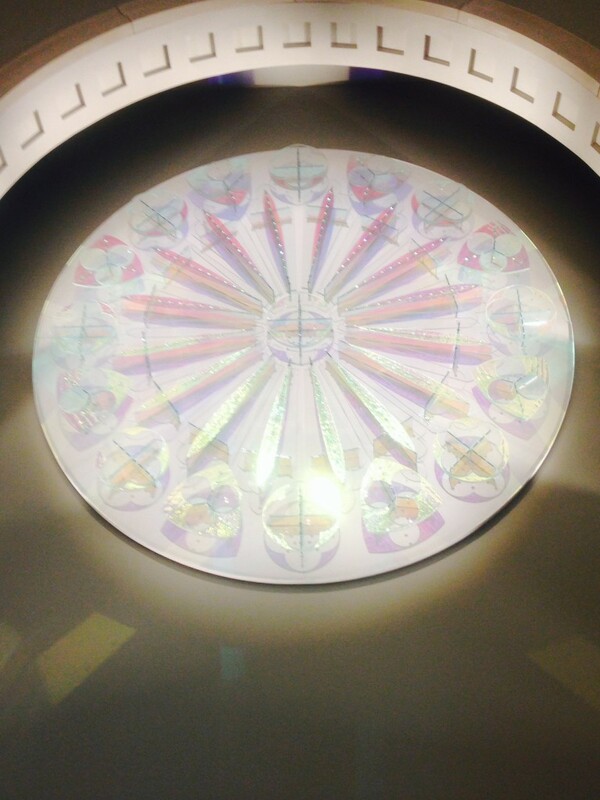 Individual pieces of prismatic glass were laminated to the window panels to reflect light. This took the entire staff several weeks to lead and solder together. The centerpiece of this installation is the 10′ rose sculpture. This is a new take on the traditional rose window seen in leaded glass and required a wide range of processes and technology to achieve. The sculpture is built on a base of medium density fiberboard, (MDF) which was carved using the CNC Router, creating slots to anchor each of the glass elements. The rose composition includes lancets, quatrefoils and trefoils. Each of these elements was cut using the water jet cutter, this enables us to use thicker glass and designs which are too complicated to cut by hand. These clear pieces served as the base and were layered with specialty art glass to provide color and texture. Water glass, dichroic glass and cut glass jewels all add the reflective quality of this work. Each of the elements is placed on glass fins which serve both to anchor them to the base as well as to raise them off the base, keeping the piece translucent and adding cast shadows. Each panel was carefully packed in custom made shipping crates and loaded on a 26′ moving van. Kenn delivered this piece to Nashville and personally oversaw the installation.